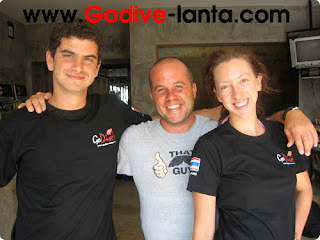 Welcome new Open Water Diver to the amazing underwater world. Carl come from England. Jenny and Stefan come from Germany. They learn Open Water Course together undertake by Instructor Oh and Dive Master Trainee with a crystal clear water at Ko Ha. 9 days package. Hope to see you soon. 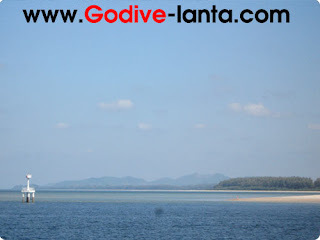 If you are interested in lowest prices for diving on Koh Lanta, please do online booking. After working in the shop since October 2008 without any breaks. 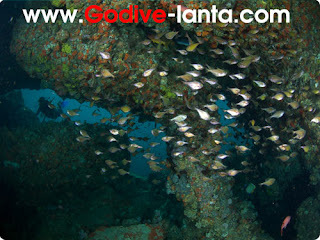 I just need a short break to go away from my job at Go Dive office . Starting in the afternoon, I have been to Nui Bay that close to the South beach (no picture). It has a small bar with a really nice view point for sunset. 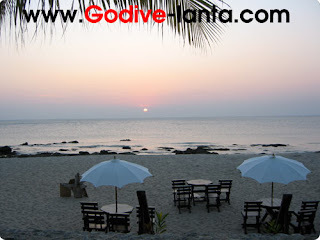 Then, go to Kan Tiang Bay to drinking some beer for cilled out and having some dinner at Klong Nin Beach with sunset. Very nice weather today after windy everyday. The wether just back to normal but not much people. 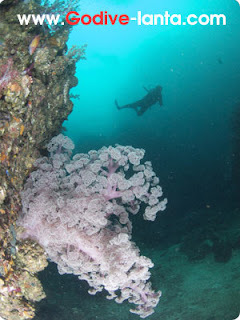 Diving after New Year is really good period because not to much crowded. 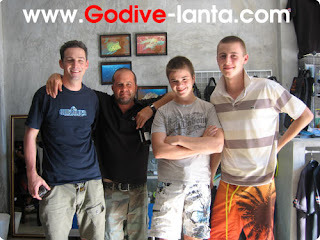 Newest Open Water Diver from Greece! 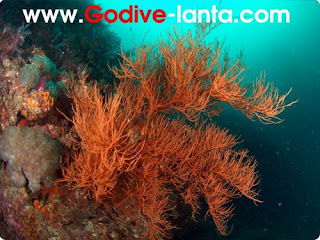 Thank you very much for learn diving with Go Dive Lanta. 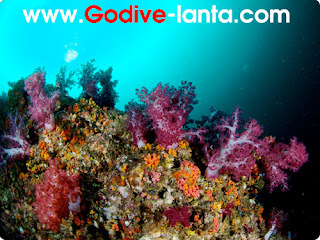 If you want to dive, we can help you! Discover your experience in underwater world today. First Junior Open Water Diver for this Season. Congratulations to all of you. They finished Open Water Course by Instructor Gannon. 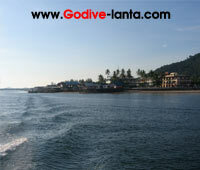 Their 1st dive is Koh Ha and then Koh Bida. Andy comes from Germany, but Asger (14) and Jonus (19) come from Denmark. 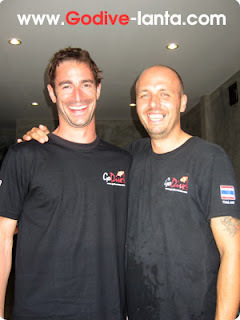 Both Andy and Jonus are Open Water Diver, but Asger is Junior Open Water Diver. 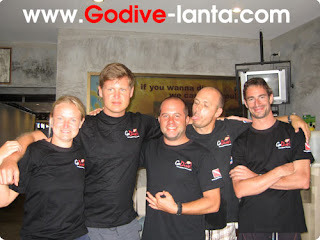 Go Dive Lanta looking forward to see you all again. 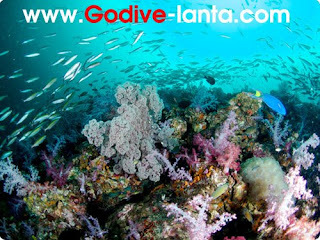 Thank you very much for diving with Go Dive.